When I was just 4 months old, I began my time at my very first school; The Atlanta Speech School. Established in 1938, the Atlanta Speech School is the nation’s most comprehensive center for language and literacy, and I am so proud to have been a student there. 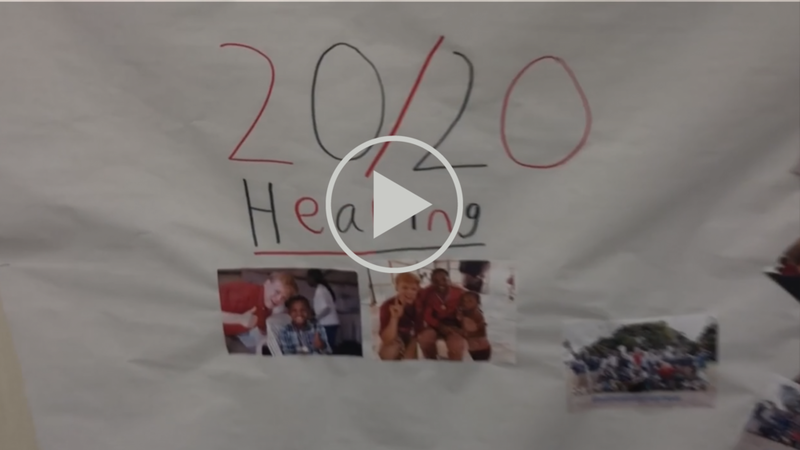 During their recent community service project, current students chose to support 20/20 Hearing. In addition to raising a size-able amount of contributions, the students also collected hearing aid batteries and school supplies for children around the world with hearing loss. Amazing! The Atlanta Speech School is a huge part of my heart! I am so thankful for the way they are teaching their students to show kindness and to use work ethic to earn what they are donating; but most importantly - teaching them to be the change in the world! I would love for you to watch the short video below, to see inside the Atlanta Speech School and to see some of the smiling faces that are so special to me. Jack with students under the Giving Tree at the Atlanta Speech School; where students write down what they have done to earn money to serve other kids in need. Such a beautiful picture of selflessness and generosity! Thank you for continuing to help us advocate for others by way of your incredibly generous donations and support. We are grateful and humbled by your encouragement and prayers.